He claims that the senior USAF officer in charge of the vehicle he was taken to, which he dubbed “Sigmund”, revealed that analysis of data from the two prior abductions has led to the conclusion that Goode is telling the truth after all. These individuals were now in a state of mind that led many of them to believe that there was much more going on in “the programs” than they had been led to believe. Sigmund was causing a LOT of problems for the SSP Alliance. He was hunting them down as traitors, pretty much. Once he got this recent info from me, he then turned and has been asking a lot of angry questions from his superiors. So that mission seems to be accomplished for now. 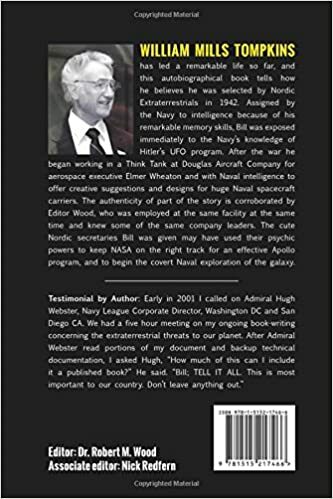 Goode’s information here is very significant since it shows how overly compartmentalized the world of unacknowledged Special Access Programs is, where one compartment is not informed about another, even though they are both performing deep space operations. He [Gonzales] stated that if this information gets to the right people within the MIC SSP it could hinder the wider plans of doing a partial disclosure of their program.